Ellie Liskey received her BSN from Florida State University and her MSN from Graceland University in Iowa/Missouri. She began her career in 2010, as a registered nurse on a neurology progressive care unit, where she was part of one of the only adult epilepsy monitoring programs in Florida. Ellie was also involved in clinical research for normal pressure hydrocephalus. 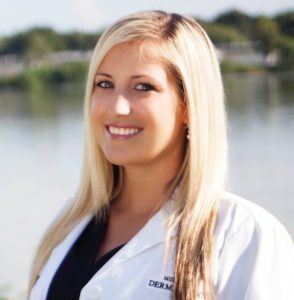 She has trained extensively in dermatology with board certified physician Dr. Gutierrez and others, and is certified through the American Association of Nurse Practitioners.